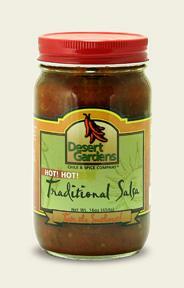 A fabulous fusion of flavors from the Southwest! 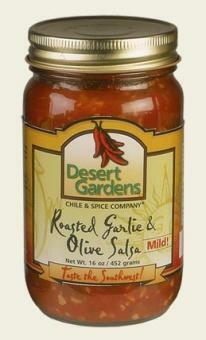 Roasted garlic, green and black olives, onions, jalapeno peppers and our trademark Desert Gardens blend of herbs and spices in the mild version of this unique salsa! 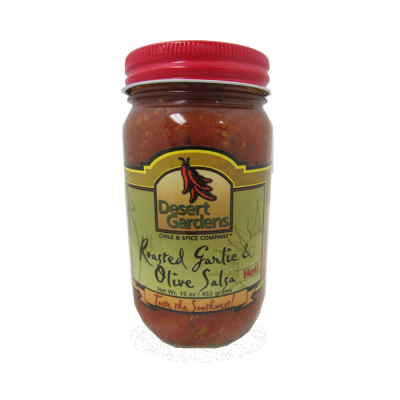 Sure to become a favorite with your chips or veggie dippers!